So, we tried it…and it’s delicious! 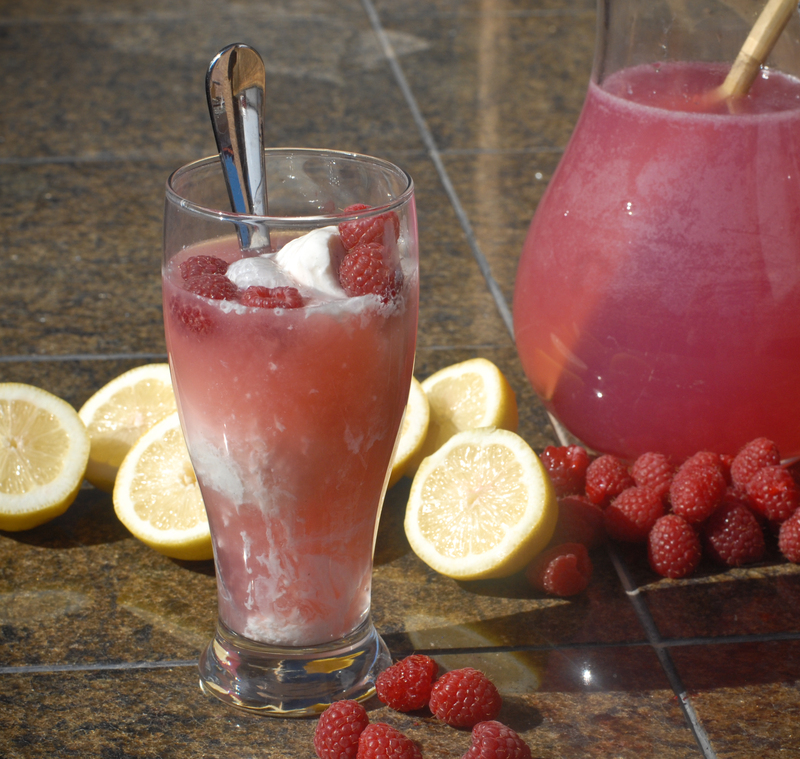 The tartness of the lemonade is smoothed by the creamy sweetness of the ice cream. I subbed raspberry lemonade for pink lemonade to add a little extra dimension. Me: How did you come up with the idea for the Raspberry Lemonade Floats? Him: Um, well, I like ice cream. My brother mentioned lemonade, and I thought since people really like root beer floats, I thought we could try it with pink lemonade. Me: You are a great cook, do you have a specialty you cook? Him: Pancakes…well, not pancakes. I like making sausage egg burritos, those are fun…and easy. Me: What’s your favorite food to eat? Well, there you have it. An interview with one of the greatest up and coming food inventors. Even though summer is still a few months off, spend some time in your kitchen with your kids this summer, teaching them to cook and helping them invent their own creations. Creativity is contagious!! Line up several tall glasses. Drop two scoops of vanilla ice cream in each glass. 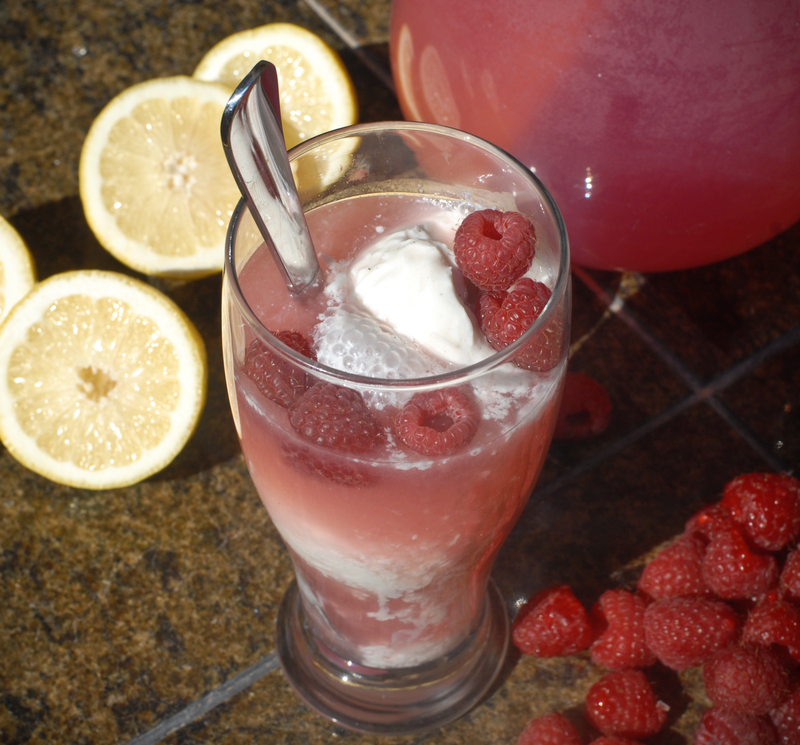 Pour raspberry lemonade over the ice cream. garnish with fresh raspberries.